Choose safety this July 4th and opt for professional fireworks displays instead of perilous displays carried out by the untrained public. It seems like every year around the 4th of July you hear some terrible horror stories about fireworks displays gone wrong. The victims of the incidents suffering from bodily injuries, fire, property damage, and sometimes even death. Independence Day is supposed to be a time of joy, a time to reflect on the history of our country and celebrate what our country stands for. The holiday wouldn’t be the same without the booming sound of fireworks with their bright colors lighting up the night sky. Fireworks are to be enjoyed, but they are to be enjoyed safely and handled by trained professionals. Organizations like the Alliance to Stop Consumer Fireworks and the National Fire Protection Association urge the public to discontinue using consumer bought fireworks and instead to enjoy fireworks displays and shows conducted by trained experts. According to the Consumer Product Safety Commission’s 2012 Fireworks Annual Report, “U.S. hospital emergency rooms saw an estimated 8,700 people for fireworks-related injuries in 2012. 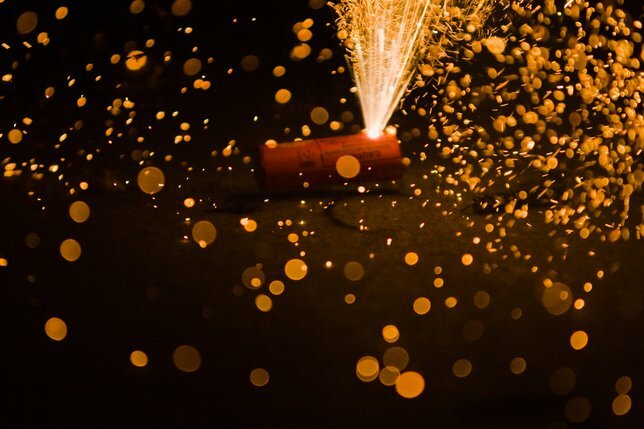 In the month around July 4th, almost three out of five (57 percent) of the fireworks injuries were burns, while almost one-fifth (18 percent) were contusions or lacerations.” Even hand held sparklers, often thought of as the more family friendly and safe fireworks product, can heat up to 1200 degrees Fahrenheit. That is hot enough to cause third degree burns. Fire and property damage are two other big consequences of consumer bought fireworks handled by nonprofessionals. In one of their Fire Analysis and Research studies the National Fire Protection Association found that, “In 2011, fireworks caused an estimated 17,800 reported fires, including 1,200 structure fires, 400 vehicle fires, and 16,300 outside and other fires.” These very fires have caused $32,000,000 in property damage and a typical year on Independence Day finds that 2 out of every 5 reported fires on this day are because of fireworks. For the safety of yourself, your loved ones, and those around you, it is essential that the untrained public refrain from setting off fireworks. Long Island is in no way devoid of fireworks shows and displays to enjoy this Fourth of July. Whether you want to view some spectacular explosions while sitting waterside, enjoy the show along with some dinner, or take the family out to a carnival followed by a fireworks display, all of the above and more are possible this Fourth of July weekend. Many upcoming festivals also offer fireworks shows throughout the summer months. Also, for the added safety of your family during this celebratory holiday time keep a close watch on children wherever fireworks are in use. The risk of injuries from fireworks is highest between those ages 15-24. Children under the age of 10 are the next group with the highest percentage of fireworks related injuries. Opting to view a professionally put together and run firework show could truly save you and your family unnecessary pain and grief. Subject: LongIsland.com - Your Name sent you Article details of "Dire Dangers of Consumer Bought Fireworks & Unprofessional Usage"